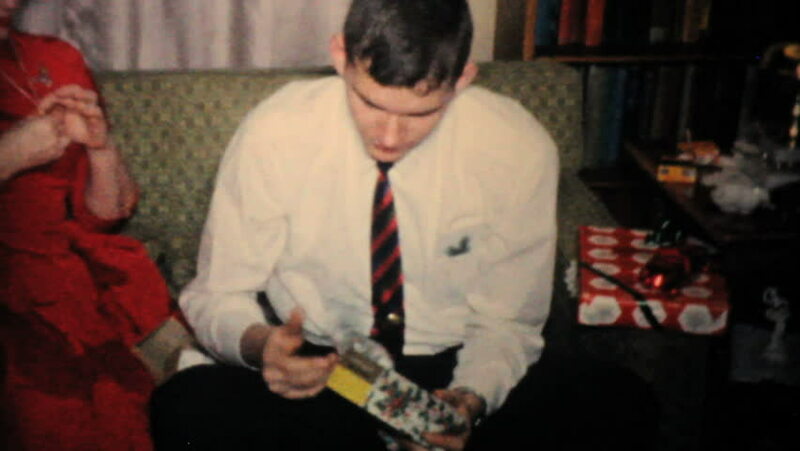 PROVIDENCE, RHODE ISLAND, 1960: A handsome young man gets a brand new electric shaver for Christmas in 1960.
hd00:25AKRON, OHIO, DECEMBER, 1962: A young boy enjoys opening Christmas presents with his family on Christmas morning in 1962. 4k00:18EASTON, MARYLAND 1965: Man showing off pot of oysters to be cooked. hd00:21Small business team meeting. Casual young downtown workers in chic loft or warehouse offices. Creative industry like architecture, new media, fashion or design. hd00:21KRAKOW, POLAND - JUNE 11, 2016: Unidentified festival participant make a tattoos at the 11-th International Tattoo Convention in the Congress-EXPO Center of Krakow.